Legacy paravirtualization (PV) instance types are no longer supported. Please see the "WordPress" page at https://aws.amazon.com/marketplace/pp/B00NN8Y43U for the current supported version. Themes, plugins, and widgets drastically change the look and feel of your website for truly custom content, and are easily updated through the same mechanism as the app itself. Edit the code for any of these right through the Wordpress console. Rich text and HTML formatting mimic the experience of popular word processing software, enabling non-technical content creators to get up and running quickly. Most themes are responsive, meaning content looks great on desktop and mobile browsers. Administration of user access, permissions, and comment moderation is all done through the web interface. 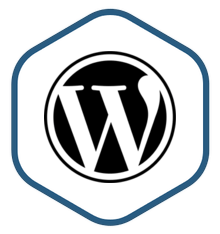 Wordpress is multi-lingual, SEO-optimized, and easily adaptable for eCommerce, spam filtering, analytics, and more.